Motorola announced today that the Moto 360 Sport, the rubberized version of the Moto 360 (2nd Gen), will be available for US consumers starting January 7, 2016. Priced at $299, the device is marketed towards those who enjoy the aesthetic of a sports watch, plus the ability to resist sweat from your heavy workouts. The device will become available in a variety of colors, through a variety of different retailers. 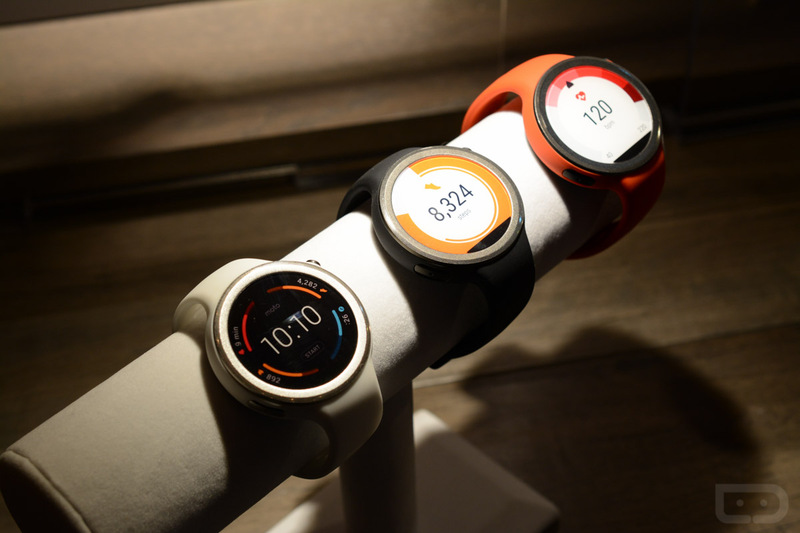 On January 7, the Moto 360 Sport will be available on Motorola’s website, as well as other online retailers. On January 10, the device will be on sale directly through Best Buy stores nationwide, as well as the Moto Shop in downtown Chicago. For specs, the device features GPS, a music player, optical heart rate monitor, 1.37″ LCD display, Snapdragon 400 processor, 512MB of RAM, 4GB of onboard storage, 300mAh battery, and the latest version of Android Wear. When Motorola held a press event to announce the Moto 360 (2nd Gen) and Moto 360 Sport, they had the device on display, but no media was allowed to play with the device. We have been eagerly awaiting the opportunity to get a bit of hands-on time with the watch. At least we now finally have a launch date. Are you interested in this watch for yourself? Maybe to help with your fitness New Year’s resolution?